PIECES OF ME: New Things for Summer! 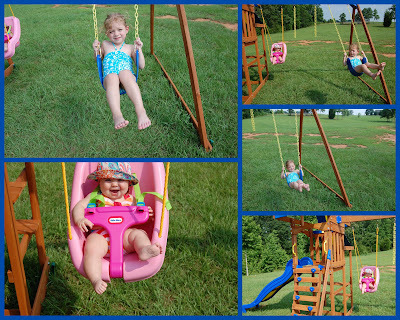 Ava and Zoe got their first swingset from Grandma and Grandaddy! is wearing mommy out. But we have been having a good time on it.